There was great debate in the late 1980s over whether a fiberglass bodyboard was indeed an actual bodyboard. Purists claimed that a bodyboard was intended to be a soft and flexible, not ultra-rigid. Others favored them for their speed and considered them to be a cutting edge modernization of the standard bodyboard. 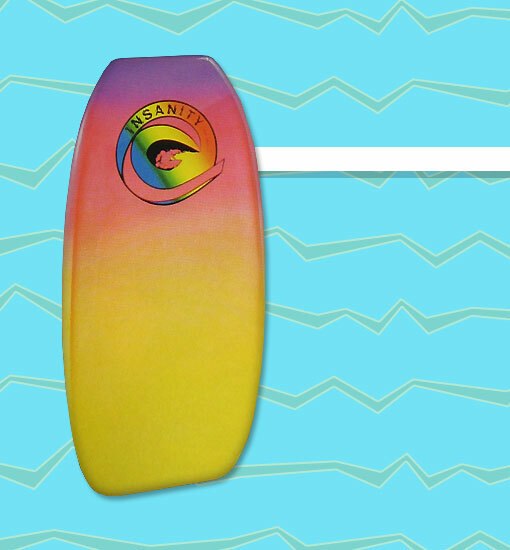 Insanity jumped headfirst into the debate by offering a line of fiberglass bodyboards.